As Croatia's westernmost city, Umag throws open the gates, embracing travelers from all points across Northern Europe to Croatia's breathtaking Adriatic coast. Once the summer residence of influential Roman citizens, the city of Umag gracefully exhibits architectural remnants of its historic past. Town walls and defense towers from the tenth century and lovely details of an ancient, grand, coastal Roman villa, nestled up to lush hillside vineyards and olive orchards, handsomely display its resilience. Umag has endured rule by the Romans, Byzantines, Lombards, Francs, Venetians, Turks and Genovese, only recently gaining independence. That newfound freedom has launched a wonderful era of tourism, inviting the world to explore Umag's blue flag ACI marina, 45 km of coastline, its ATP international tennis tournament, the Adriatic coast's oldest lighthouse, and exhilarating hiking, biking, climbing, and camping pursuits. 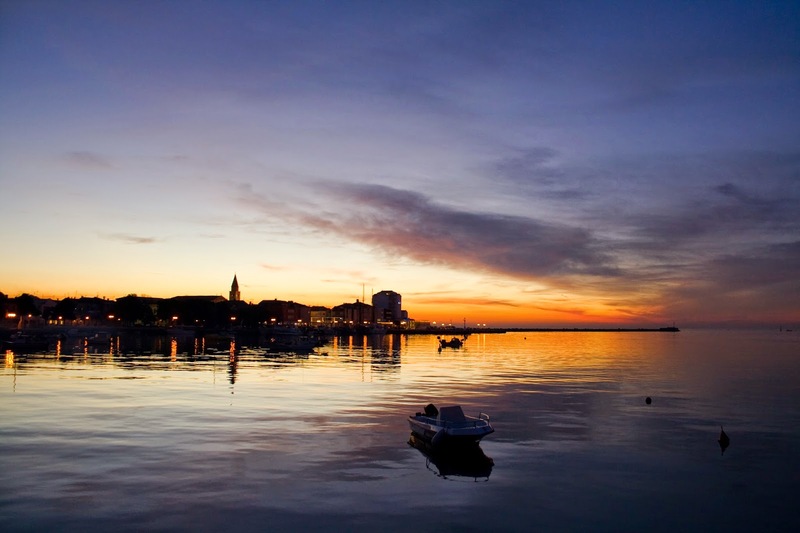 Umag is truly the gateway to the Istrian Peninsula, as well as a splendid Croatian holiday. Derived from the Latin "humagum," the name Umag is likely a derivation of "humus" meaning "fertile," and "magum," meaning "cultivated field." Umag is the westernmost city of Croatia and the municipality includes Savudrija (the westernmost point of Croatia). Umag has a population of around 8,000. ATP Croatia: Held in late July, this popular event draws top tennis players and their fans for a week of tennis matches, nightly concerts and parties, and wine dinners in popup restaurants on the tournament grounds. Beaches: Umag is known for its many beaches along the 45 km coastline. Church of St Roche: Church from 16th century. Lighthouse of Savudrija: Built in 1818, this is the oldest lighthouse on Croatian Adriatic Sea. Mini Train: Runs every 15 minutes between old town of Umag and Katoro with stops along the numerous beaches of Umag’s coast. Bike Trails (bike events, bike guide, bike hotels): Umag has an extensive bike trail passing by beaches and numerous historical remnants of Roman buildings. Umag Segway Tours: fun on two wheels. Restaurant Umag: My father-in-law's restaurant (say hi! ); Istrian cuisine; modern interior; Set. Vl. Gortana 18, Umag 52470. Restaurant Badi: Fish specialties; Umaska 12, Lovrecica, Umag 52470. Konoba Buscina: Istrian cuisine; Buscina 18 Umag 52470. Hotel Melia Coral: Beautiful hotel; 5-star; $$$; Katoro bb, Umag 52470. Kempinksi Hotel Adriatic: Another beautiful hotel; 5-star; $$$; Alberi 300 A, Savudrija 52475. Hotel Sol Umag: Elegant; 5-star; $$$; Katoro bb, Umag 52470. Melia Istrian Villas: Single apartments; $$$; Stella Maris 8A, Umag 52470. Camping Stella Maris Umag: 4-star; Stella Maris 8A, Umag 52470. Camping Pineta Umag: 4-star; Istarska bb Savudrija 52475. Camping Finida Umag: 4-star; Krizine 55a, Umag 52470. See Best of Istria Google Map for additional recommendations of places to see and things to do in Umag. Explore other destinations in Istria and Croatia.